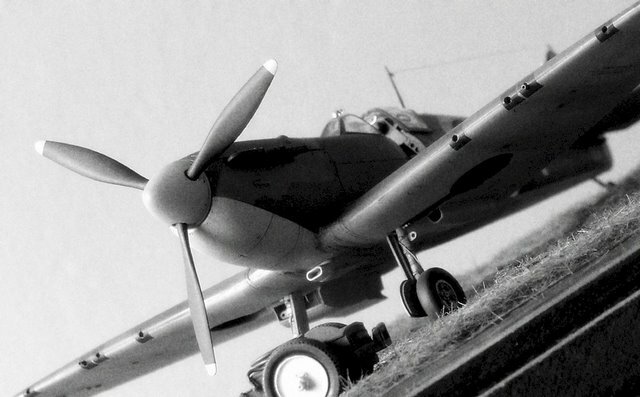 Here’s my latest project – the ubiquitous Tamiya 1/48 Spitfire Mk. 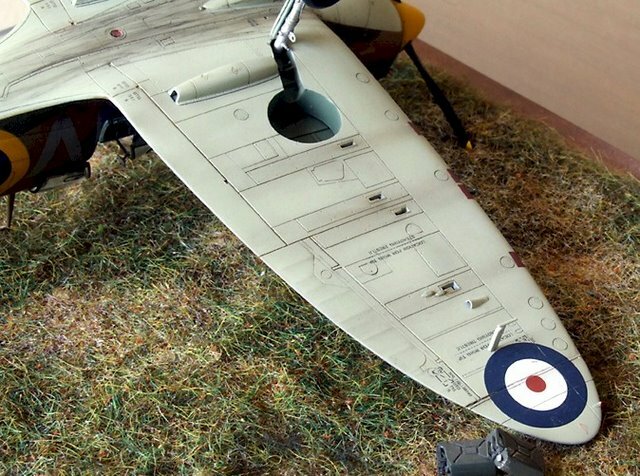 I. I have always wanted to build one in these markings, QV-K of No. 19 Squadron stationed in Fowlmere in September 1940. The unique codes and yellow spinner (left over from OTU) make this one really stand out! This aircraft was flown by Sqn/Ldr Brian Lane, commanding officer of the unit. 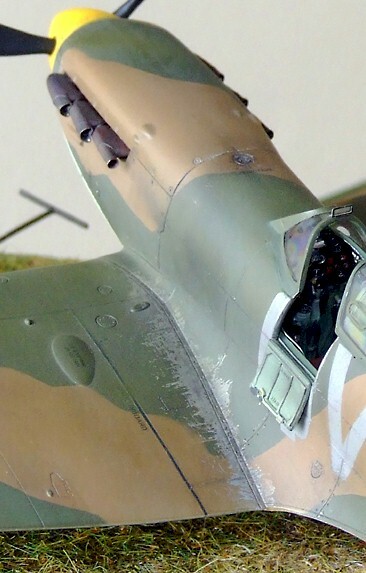 Flying this aircraft, Lane shot down a Messerschmitt Bf 110 near North Weald on September 7th. Two days later the same aircraft shot down another Bf 110 while being flown by Flt. Lt. Peter Lawson. On September 11, it also shot down a Heinkel He 111. 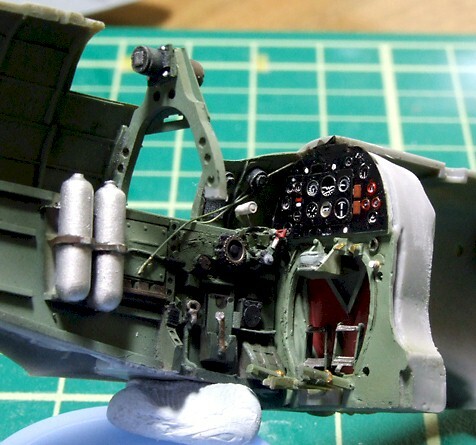 Hot air vents from gun heating installation, one on each side on the underside of the wing near wing tip. 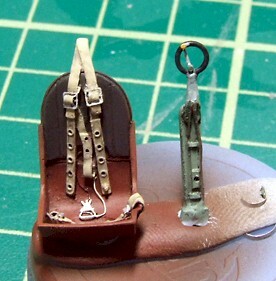 These were shaped from photetchedetched Lutwaffe seatbelt fasteners. Very nice job Charlie, I presume the yellow spinner and OTU markings were added after SQNLDR Lane flew it on operations? Liked the way you did the engine exhausts and especially the wing root weathering.